De Mistura, asked what signal Putin could give from his position of force, said: ”Convince the (Syrian) government that there is no time to lose…. You can think you win territory militarily but you have to win the peace. “And to win the peace, you have to have the courage to push the government to accept that there has to be a new constitution and new elections, through the United Nations,” he said. The nearly seven-year civil war in Syria has killed hundreds of thousands of people and driven more than 11 million from their homes. All previous diplomatic efforts to resolve the conflict have ended in failure over the opposition’s demand that President Bashar al-Assad leave power and his refusal to go. 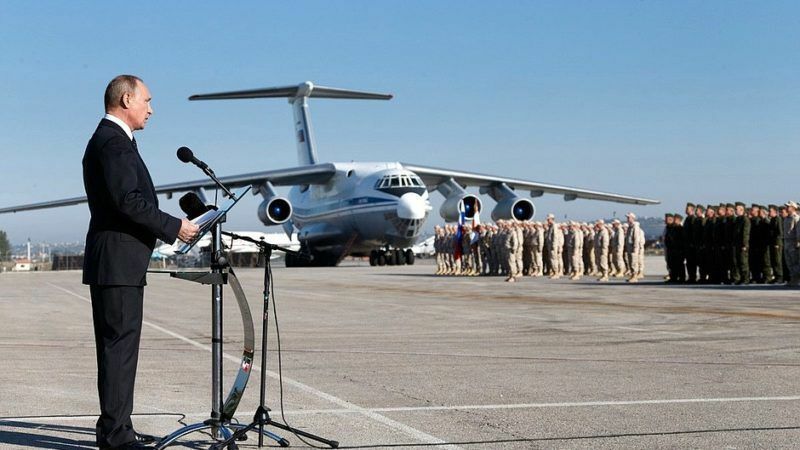 The Kremlin first launched air strikes in Syria in September 2015 in its biggest Middle East intervention in decades, turning the tide of the conflict in Assad’s favor. Now that it regards that mission complete, Putin wants to help broker a peace deal and is keen to organize a special event in Russia – a Syrian Congress on National Dialogue – that Moscow hopes will bring together the Syrian government and opposition and try to hammer out a new constitution. 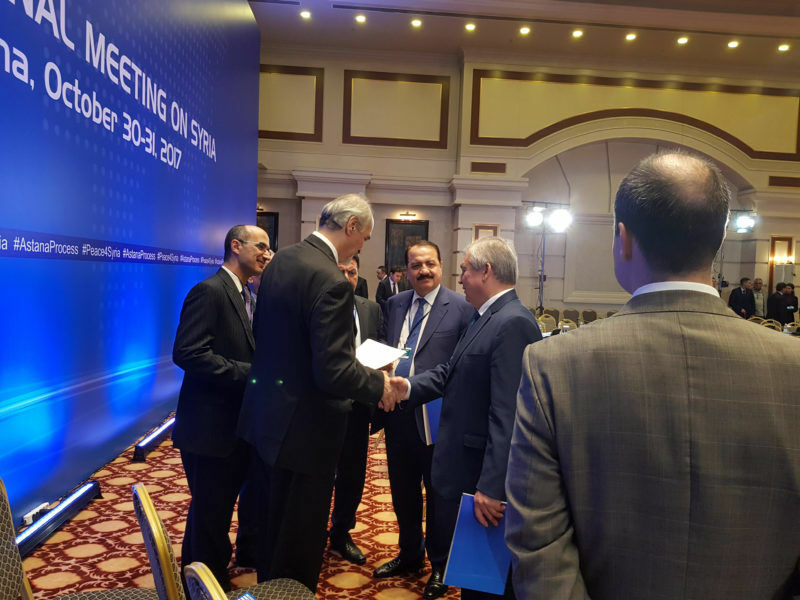 The UN envoy has conducted shuttle diplomacy between the Syrian government delegation led by chief negotiator Bashar al-Ja‘afari and a unified opposition delegation. ”The opposition told me clearly when they arrived here, and again yesterday and this morning too, that they are ready to meet the government right away to have a hard, difficult discussion. “The government is not ready, it has said it is not ready to meet the opposition. That is regrettable but diplomacy has many means,” de Mistura said. 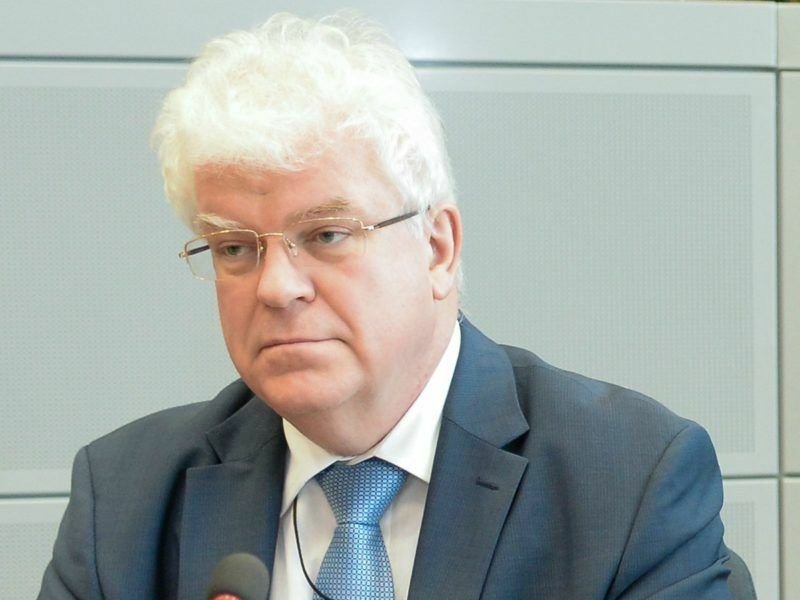 A senior Western diplomat said that the government delegation had failed to engage with de Mistura on a new constitution and elections during a round of negotiations due to end on Thursday.